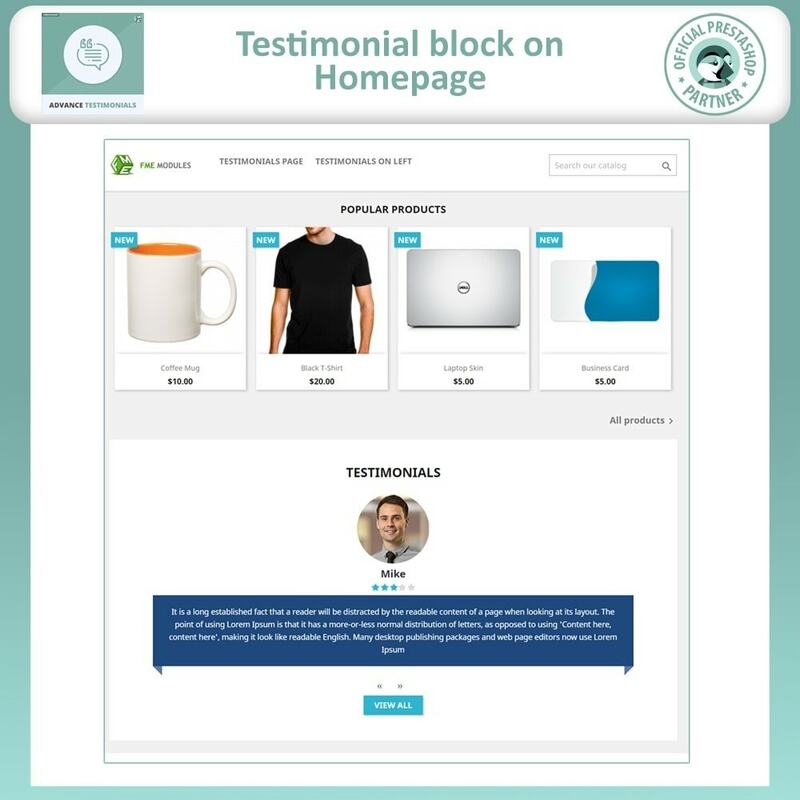 PrestaShop testimonials module allows you to show testimonials / reviews of your customers on a separate page. Increase store revenue by highlighting top reviews on product, category & CMS pages. PrestaShop testimonial module assists you in managing testimonials on PrestaShop store. This add-on creates a customizable separate page where all the customers’ testimonials are listed along with their images. The module shows a quick view of testimonials to visitors. On clicking particular testimonial, a viewer can view complete detail of user’s feedback. 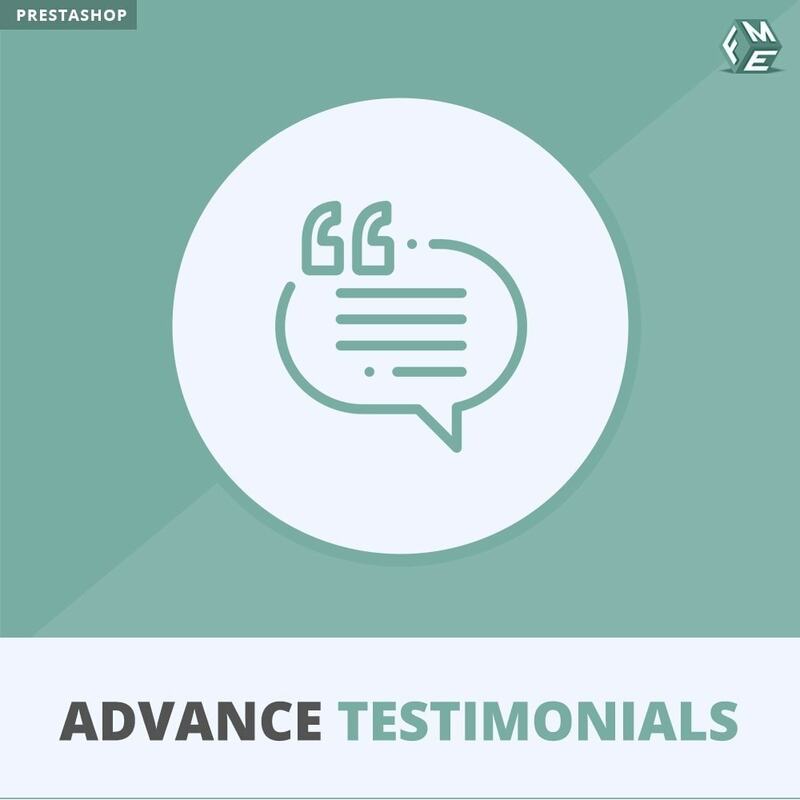 The core advantage of this best PrestaShop testimonials module is that it highlights feedback of your previous customers to new visitors, which performs key role in boosting the online business. PrestaShop customer feedback module makes testimonial posting process easy and user friendly, by allowing comments & replies on existing reviews. Moreover, users can post their reviews and give ratings to products, which later become part of search result snippets that ultimately increases the traffic of your website. More than 6 themes to select from. Option to show testimonial slider on homepage. 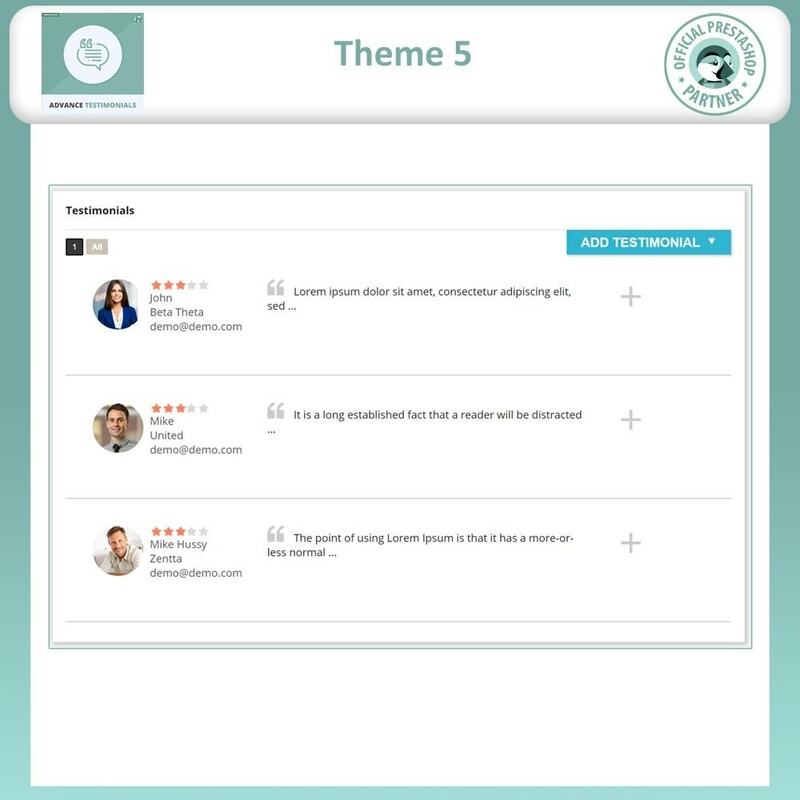 The testimonials are displayed under left navigation menu in the form of slider to highlight reviews and attract more customers. The grid of testimonials shows certain number of words, user can click on ‘Read More’ button/link to display whole comment. The add-on also enables pagination that limits the no. of testimonials within a page. 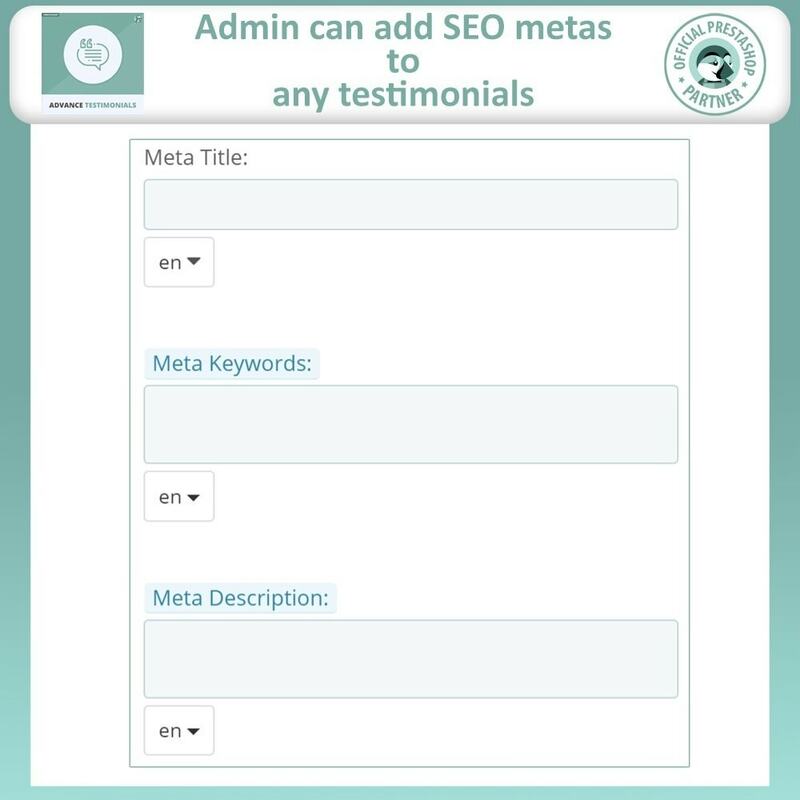 “Add testimonial” can be configured to open as a popup or sliding layout, form contains all necessary fields that are handy in collecting basic information like name, Email and security captcha. The PrestaShop Customer Review Module supports image display on testimonial. A moderator can configure ‘Add Testimonial Form’ up to four custom fields from backend.